I am very excited to announce that my brothers in arms, Agori Tribe, be kicking off their 2016 stage presence at one of our favorite Memphis spots, the Hi-Tone Cafe! The five-piece psychedelic, progressive rock band will be joined by NOLA natives Elysian Feel, as well as fellow Memphians Monticello. Come and join us at the Hi-Tone on February 13, 2016! We’ll be rockin’ the small room for an intimate evening of pure live music. 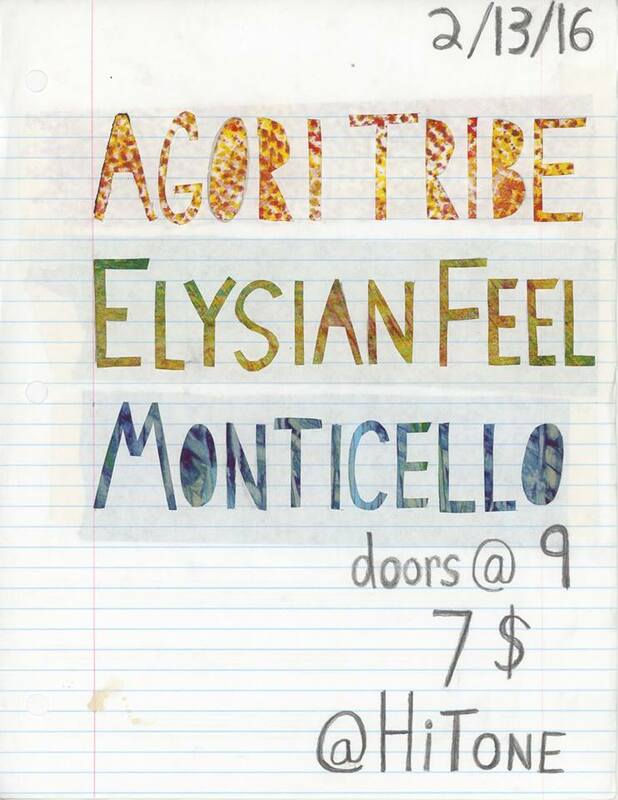 This entry was posted in Agori Tribe, Gigs, Just Announced and tagged Agori Tribe, Concert, Elysian Feel, Featured, Hi-Tone Cafe, Live Music, Memphis, Monticello, Progressive Rock, Psychedelic Rock, Rage, Rock, Rock & Roll, Tennessee, TN.